There are many different types of customer feedback. Some are obvious (e.g feature requests), some are more subtle (e.g questions). Some customer feedback you reach out for specifically, and some you don’t. Paying attention to what your customers are saying is the best thing you can do for your business. Regardless of the nature of the communication, it’s all valuable as well as actionable. Today, we’ll be outlining the different types of customer feedback, and what to do with it. You might think that feedback you specifically ask for is more actionable. The reality is, there are nuggets of pure gold hidden in communication forms you wouldn’t usually pay much attention to. Let’s go through and discuss them. 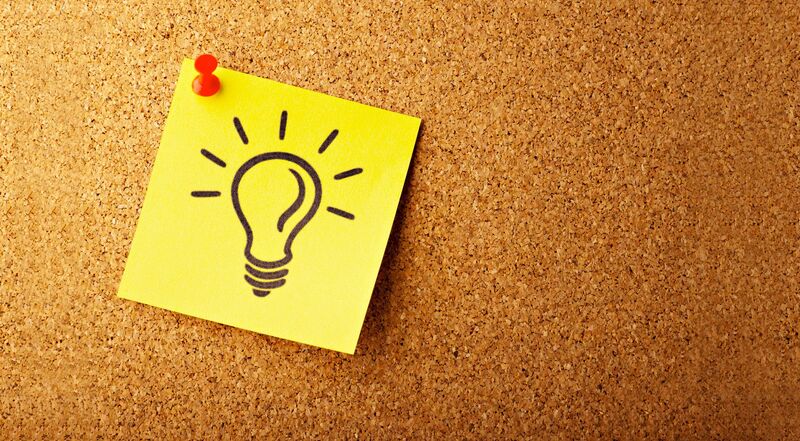 Feature requests are ideas for how you can improve your product or service. They usually come from a pain point on the customers’ side—they want to do something, but can’t. So, they request a new feature. The main benefit of keeping track of and implementing feature requests is delivering value. The more value you deliver, the more successful your business will become. Not all feature requests will make sense for your business. But, the reasonable ones are a goldmine for building your future roadmap. You should keep track of every feature request you get, and see which fit into your roadmap. If you need a tool for this, you can use Canny. 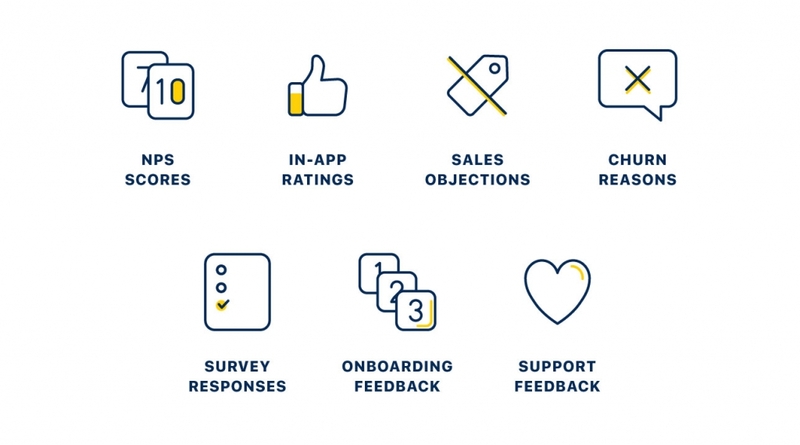 If you want to have a go at prioritizing features on your own, we’ve written about how to prioritize customer feedback. 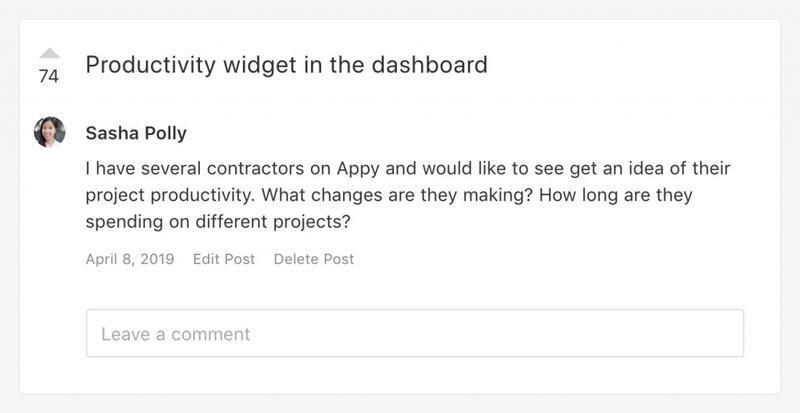 Either way, keeping track of your feature requests is a great way to keep your roadmap organized and prioritized for more value. Bugs are problems that your customers run into while using your product. They can vary from small UI issues to your entire site being down. A buggy product will almost certainly lead to churn, the biggest enemy of every software business. If your product doesn’t work, customers can’t access the value of it. If they can’t access the value, they’ll leave. Who is this affecting? All customers, or a select few? How severe is the bug? Are certain features unusable? How much time/money would it cost to fix it? If a bug is easy to fix, you should squish it. This shows your customers that you’re serious about their experience. Try to keep ahead of bug reports by using a notification service for issues. We use Sentry for this. It’s also good practice to consider what’s causing the issue and how you can avoid it in the future. For example, there might be a unit test you can write to ensure the problem never happens again. Being proactive about technical issues is a great way to drive customer satisfaction and loyalty. At every step of the customer journey, people will have questions. Your landing page, documentation, or product itself should answer most of these questions. There will still be times when people can’t find the answer they’re looking for. That’s when they reach out to you. Questions aren’t “intended” to be feedback. But, if you think about it, in a way, they are. Receiving a question means you could make something clearer. If everything was clear, your customer wouldn’t have a question to begin with. If you start hearing the same question over and over, it’s worth answering it in your product. It’ll save time for you and your customers—win-win. Review sites give your users the chance to talk about your company indirectly. Unfortunately, they often do this when they’re already mad about something. You have no control over this. Unless it’s is untrue or inappropriate, everyone has the right to express an opinion. The important thing is to keep your eye on these reviews. You can either browse them by hand, or set up mention notifications. Always record the feedback, and respond with a thank you—whether it’s negative or positive. With positive reviews, you can always ask if there’s anything at all they would like changed. With negative ones, ask to discuss further so you can resolve whatever triggered the bad review. Brownie points if you go back and let whoever complained know when you’ve fixed the issues. This is when a customer tells you about a great experience they had with your company. Praise is a good sign. Someone took the time to say nice things about your company. That means they must appreciate what you do a lot. Praise is nice to receive, but don’t let yourself get lazy. You should still check whether there’s any constructive feedback you can get out of it. 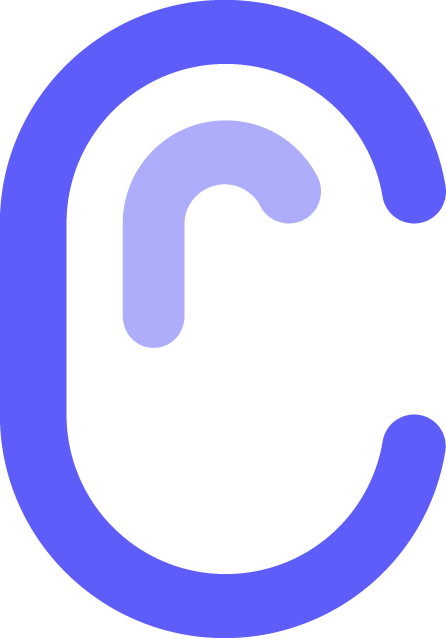 Ask for a review on GetApp, G2Crowd, or Capterra. Ask for a testimonial for social proof. Ask for a case study or an interview for your website. Ask if they know anyone who might want to use your product. Don’t be pushy about this. You don’t want to ruin the good impression they have of you by being annoying. NPS (net promoter score) surveys are a popular way to measure customer satisfaction and loyalty. On a scale of 1-10, how likely are you to recommend us to a friend or colleague? Why did you choose that score? These are your most loyal customers. They’re least likely to churn, and most likely to speak well about your brand to others. 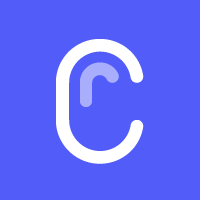 Ask for reviews on GetApp, G2Crowd, Capterra, or similar. Ask them for a testimonial or case study that you can put on your website. Point them to a referral program if you have one. And, most importantly, express your gratitude loud and clear. Passives are having an “ok” experience with your product. They aren’t about to churn, but they aren’t loyal, either. Promotion wise, they aren’t likely to speak about your brand to other people at all. Figure out how you can turn them into promoters instead of passives. Read why they chose a passive score, and see if there are any quick wins to be had. If they didn’t give an explanation, reach out and ask what you could do to provide them with a stellar experience. Detractors are the most urgent customers to deal with. They’re most likely to churn and say negative things about your brand. Figure out how you can turn their negative experience into a positive one by reaching out. Why did they choose that score, and what can you do to fix it? In-app ratings are another quick easy way to ask for feedback. 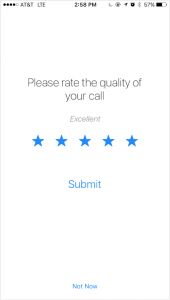 You can trigger a rating action at any time, or after the user completes a specific action. Like NPS, you should always ask for an extra comment explaining the rating. This is what a prospect tells you when they decide not to buy your product or service. If one customer has a sales objection, it’s likely that others will have the same one. “Dealbreakers” are very similar to sales objections. This is when a lead tells you they want to buy, but need feature X for it. This is also valuable feedback—if you hear a lot of the same dealbreaker, you might want to consider building the feature. These are all valid reasons for no sale, but you should always track these objections and keep a list of them. Over time, you’ll start to see patterns, and easy ways to stop losing customers. This is what a customer tells you when they’ve decided to stop using your product. It’s like sales objections—the only difference is they’re already your customer. Shutting Down: “Our company ran out of money. We’re shutting down”. Don’t let a customer cancel their subscription without telling you why. 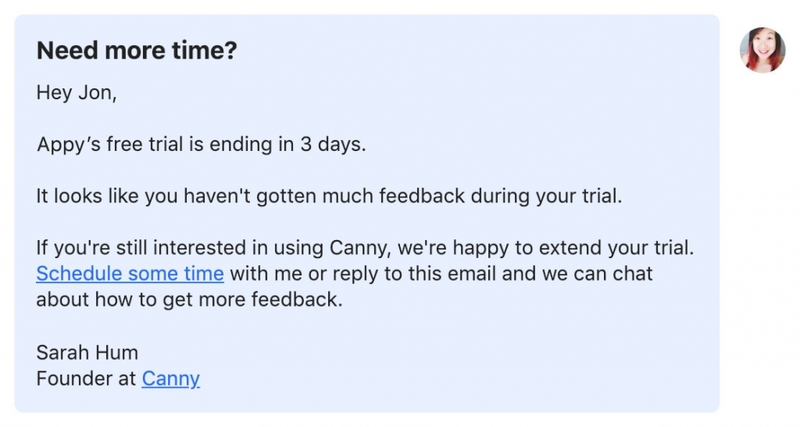 At Canny, we make people message us on Intercom to cancel their subscription. This way we get to have a (brief) conversation with everyone who cancels. As long as we cancel their subscription immediately, they’re generally happy to elaborate. It’s also a nice way to end the customer relationship. Keep track of reasons why people churn, and its consequences to your bottom line in a spreadsheet. Soon, you’ll start noticing common reasons for cancelling, and eliminate them. Customer surveys are generally sent via email to existing customers. It’s a regular feedback request (usually done once or twice a year, depending on the company). The purpose of a survey is to ask questions about the customers’ satisfaction with the company. Customer surveys are more labor heavy than other feedback types, especially if you compare it to something like an NPS survey, which takes the customer a few seconds. As for formatting customer surveys, SurveyMonkey has a great article about which customer survey questions are the most (and least) productive. Marketer at Canny. Elen enjoys drinking unnecessary amounts of coffee, typing words, and filling out marketing spreadsheets. Onboarding is one of the most crucial stages of your customers’ lifecycle. It’s their first impression with you. They will definitely have questions, as well as valuable feedback. Not a lot of activity—why? Not extending trial or becoming a customer after onboarding—why? Feedback during onboarding is valuable because it’s very raw. The customers who are just getting to know your product have no bias. Record all valuable feedback from onboarding customers, and use it to make the experience smoother. 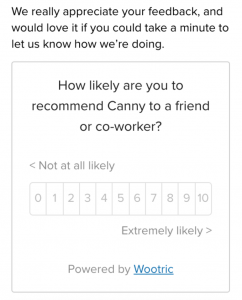 Some companies choose to add the option to rate a support interaction after it happens. This feedback is low-effort for your customer, but it still gives you an idea about how you’re doing. This feedback is more related to your support interactions than your customers’ experience with the product. But, it’ll still give you valuable insight into how you can improve. Once you have enough data, you can start calculating your customer satisfaction score. Many companies treat customer service and feedback like a cost. Cost is generally something you should try and minimize. Don’t be one of those companies. Feedback is an opportunity and a gift. It’ll help you provide value and improve your business from every angle. Your customer is taking time out of their busy day to tell you how you’re doing, and how you can do better. You should appreciate and encourage it, not disregard it. Which types of customer feedback have been most valuable for your business? Need a tool to easily gather customer feedback? Try out Canny!